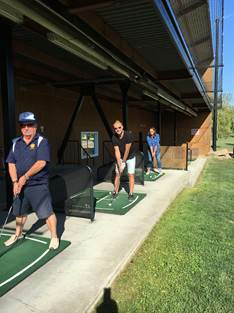 The Rotary Club of Abbotsford will join Fraserglen Golf Course at their Driving Range Grand Re-opening this coming Saturday August 26th 11am- 6 pm to host ‘The Big Truck Golf Event’ challenge! Proceeds from this will be raising much needed funds for the Abbotsford Food Bank Starfish Pack Program that fills backpacks full of food for children going hungry in our own community. This event will be in lieu of our annual spring Hole-In-One event which unfortunately had to be cancelled this past spring due to damage caused to the driving range at Fraser Glen Golf Course during the big ice storm.